Believe it or not, but your old, unwanted car can actually make a difference to a Labradoodle rescue. If you have an unwanted car, and are not interested in going through the hassle of finding a buyer for the vehicle, why not put your old car to good use and make a difference in a dog’s life. How exactly can you donate your car to an animal rescue? First off, you need to make sure that the rescue you are interested in sponsors this program. Second, if the rescue does offer this program, you simply need to fill out the necessary car donation form to donate your car. The car donation program that the rescue is associated with will contact you and arrange to pick up your vehicle at your convenience. When the car is picked up, you will be provided a receipt for your donation. The next thing that happens is your car is entered into an auction. When the auction is complete, the car donation program will send a postcard indicating the amount which the vehicle was sold. The amount of money that a Labradoodle rescue will receive form a car donation will vary. Most cars are usually sold for the fair market value which is approximately $500. The rescue receives 70% of the proceeds generated from the auction. The rescue will then use this money to benefit all of the animals within its care. Another great bonus of donating your car to help a rescue is that not only does the rescue receive money, but you obtain a tax write-off for the money the car was auctioned for. Note: Keep in mind that the tax benefits you receive may vary depending on your situation. You should seek your tax advisor’s advice to learn exactly how this donation will benefit you. 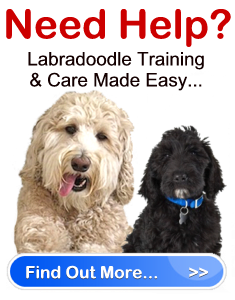 Last but not least, if you are not sure how to go about finding a Labradoodle rescue or any other animal rescue that offers the car donation program, you can always do a charity search online at the America’s Car Donation Charities Center at donatecar.com.